We’re celebrating the flavours of the Caribbean with this loud, colourful salad. Spicy, zesty, aromatic jerk seasoning carries through to infused sweet potato and smoky spiced corn in a joyful jumble of textures and flavours. Fresh coriander and bitter rocket complete the picture. Preheat the oven to 220°C/200°C fan-forced. 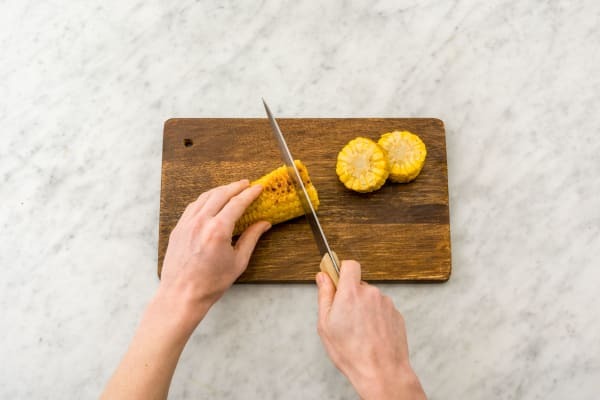 To prepare the ingredients, peel and crush the garlic, juice the lime, cut the sweet potato into 2 cm pieces (unpeeled), husk the corn, wash the rocket leaves, and pick the coriander leaves. In a medium bowl combine half of the olive oil, the Worcestershire sauce, garlic, lime juice, Cajun spice mix and brown sugar. Season with salt and pepper. Add the premium beef rump and toss in marinade to coat well. Set aside. 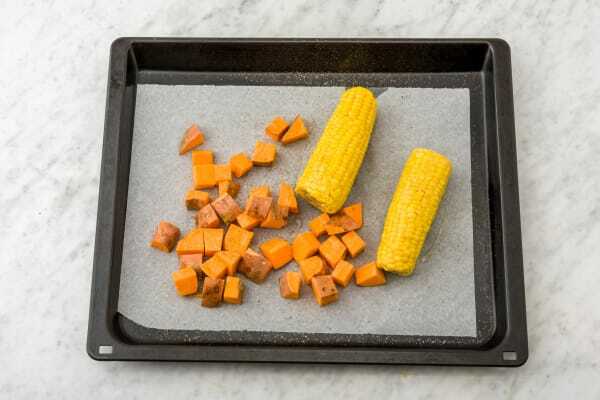 Meanwhile, place the sweet potato and corn on a lined oven tray and toss in the remaining olive oil. Season with salt and pepper and roast in the oven for 30-40 minutes or until tender and a little charred. Allow the corn to cool, then cut into 2 cm thick rounds. In the last 10 minutes of the vegetable cooking time, heat a medium frying pan over a medium-high heat. 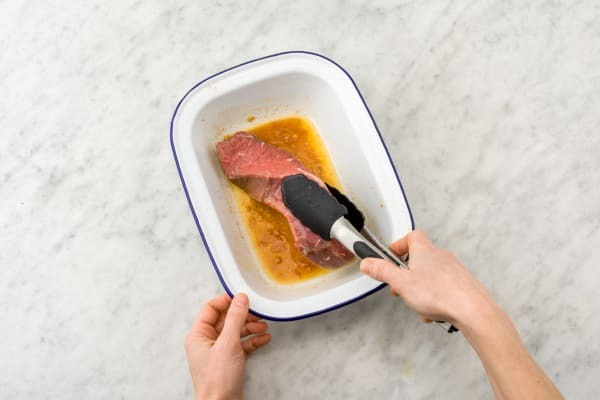 Add the marinated beef and cook for 3-4 minutes on each side for medium rare, or until cooked to your liking (cooking times will vary depending on the thickness of your steak). Set aside on a plate and cover with foil to rest for 5 minutes. Cut into 1 cm thick slices. Tip: Don’t be tempted to skip resting the steak. This is an integral part of the cooking process and will ensure your steak is tender. 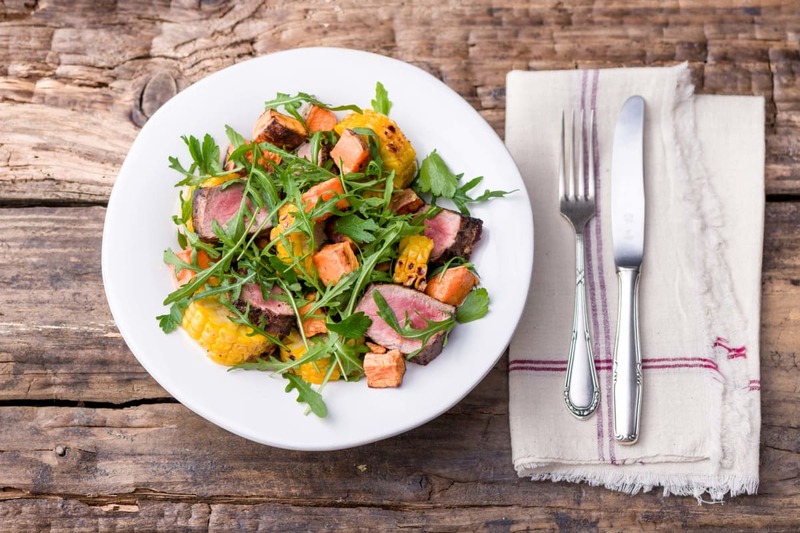 Toss the rocket leaves, roast vegetables, sliced steak and coriander in a large bowl. Season to taste with salt and pepper. Drizzle with a little extra olive oil if you like. To serve, divide the salad between plates and enjoy!